Amazon has announced the first Echo to feature a built-in display – one of 2017's stranger gadgets – just as Microsoft's Echo clone broke cover. 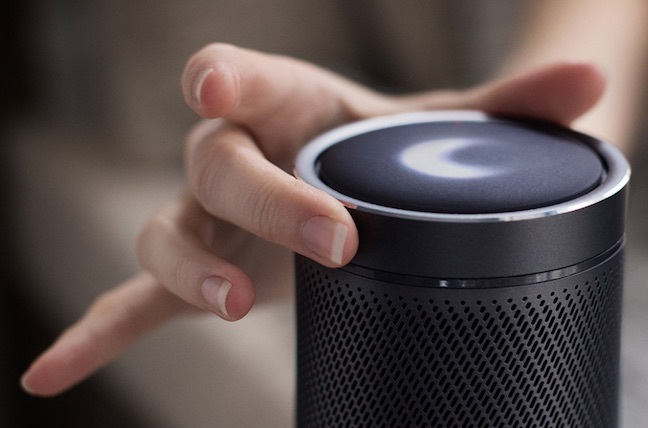 The Harmon Kardon Invoke is a voice-enabled 360 speaker powered by Microsoft's Cortana. 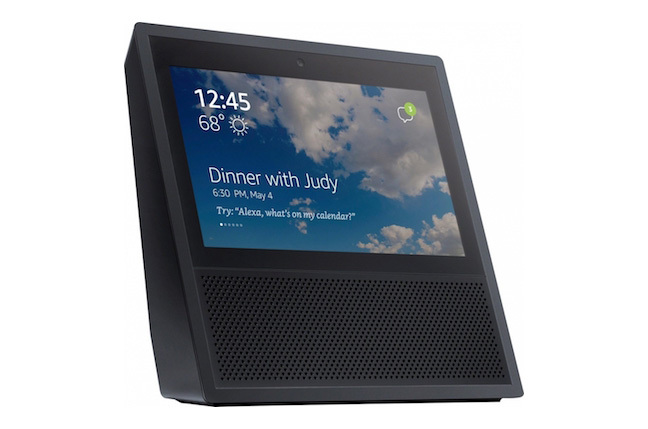 The news spoiled the announcement of Amazon's new Echo Show, which loosely resembles an iPad built into a carriage clock. Quite who intended to spoil who first isn't clear. It looks like a mutual spoiling. Amazon's Echo Show is harder to explain. It's a 7-inch box with a colour display and speaker, and Alexa inside. To which you may ask: "Why? When everyone has a perfectly capable voice assistant in their pocket already? And can watch videos on their tablet or phablet?" To answer that somewhat gives the game away. The Amazon Echo was a hit because it allowed you to look up and talk, not fumble for a gadget. But on a phone, it's Google (or Apple) that collects the voice data and personal information, not Amazon. Therefore Amazon felt an overwhelming urge to build a portable device that allows it to capture your speech, bypassing Apple and Google. You mean it's all about data collection? No, silly, it's about bringing information to your fingertips seamlessly, integrating with your always-on digital lifestyle! But it's still a clunky gadget with a hefty price tag. Just like the category-defining Amazon Echo and Google's clone, Home (review), the Invoke is a 360-degrees speaker. What sets it apart from the Alexa-powered eavesdropper is the ability to make Skype calls, although both Echo and Home are expected to get this functionality before too long. Don't hold your breath, though. Harmon Kardon's Invoke won't be available until autumn and the retail price wasn't disclosed. The six-month delay has given Amazon time to diversify its hit line. Amazon recently launched an always-on camera, Echo Look, a very 1984-ish eye in the home. "See yourself from every angle with the companion app. Build a personal lookbook and share your photos," Amazon urges a little creepily. Cortana may have superior speech recognition but Amazon is the more attractive prospect for developers and businesses looking to integrate with the new UI. Echo doesn't just have a huge sales lead, it has the more open platform too, Wireless Watch noted here. Amazon is pushing Alexa hard at other consumer electronics categories. Samsung has yet to release its Bixby SDK and, for now, has yet to decouple it from its phones either. Find out more about the luggable Echo here, Invoke here.